Chris Purcell has successfully represented train accident victims in Orange County, California for more than twenty years. If you or anyone you love has been injured in a train collision or derailment, contact, at once, an experienced Orange County train accident lawyer – Chris Purcell of Purcell Law – about your case. Chris can examine the particulars of the incident, and if you pursue a personal injury claim, he will fight tenaciously for the compensation and justice you deserve. Trains wrecks injure passengers, railway personnel, and those in motor vehicles. A train derailment with a hazardous chemical spill can put an entire community at risk. If you’ve been injured in a train accident or because of a derailment, attorney Chris Purcell can advocate on your behalf. Chris represents clients throughout Orange County including Santa Ana, Irvine, Tustin, and Garden Grove. Train accidents are much more common than you may realize. A train accident happens about every ninety minutes in the United States. Train wrecks that are a result of human error, negligence, or distraction; mechanical failure or defective parts; poorly maintained tracks; and obviously, train wrecks can occur if the tracks are blocked by wildlife, humans, boulders, downed trees, or automobiles. If negligence was the reason for the train accident – whether it’s the negligence of an operator, a railroad company, or a train or parts manufacturer – and you suffer an injury due to said negligence, you may be able to win reimbursement to help with medical treatment, lost wages, and related expenses, but it is imperative you seek the assistance of an experienced lawyer working on your behalf. No one ever expects to be involved in a train accident, so initially, it’s normal to be in a state of shock as you try to process exactly what happened. But, the steps you take after a train accident could help you receive compensation for your injuries later on. First and foremost, it is essential that you receive medical help immediately if you are injured. Keep any documents pertaining to your injuries and make certain to listen to the doctor’s instructions to the key. If medication is prescribed or if you are required to go back for a follow-up appointment, do exactly as the doctor says. If you choose to ignore doctor’s instructions, those who are liable might try to argue you are not as seriously injured as you claim to be. WHY DO LAW FIRMS RECOMMEND GATHERING EVIDENCE AFTER A TRAIN ACCIDENT? After receiving medical attention, try to preserve any and all evidence that you can. Write down everything you remember right after the accident. Do you remember the brakes being applied prior to the accident? What time of day was it? How strong was the impact of the collision? Did you notice anything unusual on the ground or in the train at the time of the accident? These questions and more are imperative to acknowledge following the train accident. If you did not have to leave the scene of the accident to receive medical attention, take photographs of any evidence that remains at the scene. Take photographs of your injuries, any debris, and damage done to the train. These may come in handy if you file a personal injury claim. WHY SHOULD YOU CONTACT AN ORANGE COUNTY LAWYER AFTER A TRAIN ACCIDENT? Next, it’s time to contact attorney Chris Purcell. Don’t speak with an investigator or an insurance company before you have consulted with an attorney. The insurance company of the liable party may try to settle with you quickly, but remember, insurance companies do not have your best interests in mind. You need to speak with an attorney to discuss how much compensation you deserve before signing any paperwork or agreeing to any settlements. Don’t work with just any attorney after you are injured in a train accident. These accidents are complex, so the attorney you choose has to have knowledge of train crashes and the law and experience working with these victims. Chris Purcell will be your closest ally in the battle to get the compensation you deserve for the personal injury you suffered following a train accident. WHO CAN ATTORNEYS HOLD ACCOUNTABLE FOR YOUR TRAIN ACCIDENT INJURIES? The party who is responsible for the accident will be determined after all factors are considered. When you work with Chris Purcell, you will get the help you need to determine who is liable for your injuries. The train track owner could possibly be responsible for the incident. These owners have a responsibility to make sure tracks are maintained and safe, and if an unsafe track was the cause of your accident, the track owner could be liable. If a train hit a car, motorcycle or truck that was on the tracks, the driver of this vehicle could be at fault for your injuries. The company that is responsible for ownership and operation of the train can also be held liable. These companies are responsible for ensuring the train is kept up to proper standards and any employee who works on the train is correctly trained. Companies must additionally ensure that their workers do not overwork, so they don’t make errors because of fatigue. 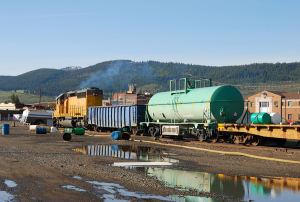 If the incident occurred because of an overly worked employee or an inadequately maintained train, you may be able to hold the train owner and operator liable. Finally, if the incident was a result of the equipment of the train malfunctioning, the manufacturer may be liable for your injuries. For assistance with determining who is at fault and whether you are entitled to compensation, contact Chris Purcell for a complimentary legal consultation. For over twenty years, Chris has been recovering substantial settlements and judgments for injury victims in Orange County. If you have sustained an injury as a result of a train accident or derailment, Chris Purcell is committed to helping you get your life back and helping you move forward in the most positive way possible. He has experience representing people in cases involving train accidents, pedestrian accidents, dog bites, bicycle accidents, truck accidents, auto accidents, slip and fall accidents, premises liability, spinal cord injuries, and motorcycle accidents. Personal injury claims are handled on a contingency fee basis, so you pay nothing unless and until Attorney Chris Purcell recovers compensation for you. To arrange a free consultation with an Orange County train accident attorney, please call 714-884-3006 or contact Chris by email today.